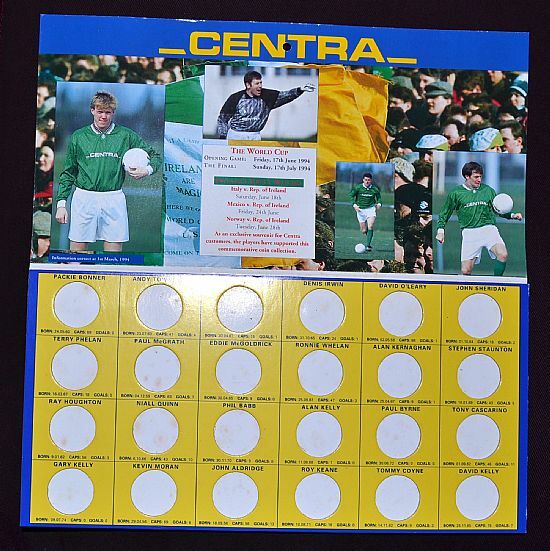 A set of 24 coins issued by the Irish supermarket 'Centra' for the 1994 world cup in the USA. 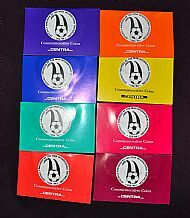 All 8 packets of coins are still sealed (colour coordinated so you know you have a full set!). 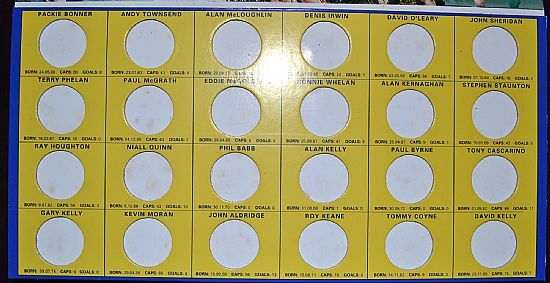 A decent squad of players. 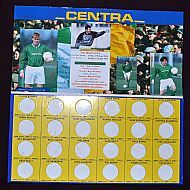 24 coin set in lovely display folder.